Old Main in March 2011. Photo by Eric Weiss, Onward State. With two years left in its current fundraising campaign, Penn State already has reached 80 percent of its $2 billion goal. That total includes $208.7 million from alumni and friends in 2011-12. "It's the second-best year we've ever had, second only to Pegula," Rodney Kirsch, senior vice president for development and alumni relations, said Monday. During the previous fiscal year, Terry and Kim Pegula announced an $88 million donation to build the Pegula Ice Arena and initiate Penn State ice hockey into NCAA Division I play. The arena, in total, requires a $102 million commitment from the husband and wife, which they have promised. On Monday, the Penn State Division of Development and Alumni Relations released its fundraising results for the 2011-12 fiscal year. The fundraising campaign, "For the Future: The Campaign for Penn State Students," lasts seven years. So far, about $1.6 billion has been raised, which means the university has officially raised more for the endowment during the first five years of this campaign than it did for the previous such event. "Penn State's alumni and friends have remained steadfast in their support of our students and faculty," Kirsch said. "We are grateful to the scores of donors who, through incredibly difficult circumstances, have supported our students and our institution in record numbers. "Through their philanthropy, our benefactors will help to confirm Penn State's leadership in higher education." Donors set all-time records with 191,712 supporters providing 323,271 gifts. Of that, 75,593 were from alumni donors, who provided $70.9 million in scholarships and other philanthropic and alumni support. Athletics absorbed $51.4 million, which includes a substantial payment from the Pegulas. The Nittany Lion Club made $17.4 million, which was an increase from years past. Penn State reported $223.7 million in total commitments, which is a 37 percent decline, but that is because of the unprecedented $88 million gift from the Pegulas the year before. Kirsch said despite the events of November, when former Penn State assistant football coach Jerry Sandusky's child sexual abuse was first revealed and subsequently led to the dismissals of former head coach Joe Paterno and former president Graham Spanier, there is reason to remain optimistic Penn State will reach its goal. Most donors give to support the students and many donors have expressed they don't want to see a student suffer. "They know they had nothing to do with this," Kirsch said. "Scholarship support is probably the main thing people support. People tend to give to very specific things they're attached to." While many donors designate where their gift is to go, like a certain college or program, out of the $208.7 million in total gifts, $1.7 million was in unrestricted funds, which go to the president, who decides to where they'll be allocated. The events of the past year were not lost on everyone. "We have some people who have a proposal in front of them that put it on pause," Kirsch said. "That doesn't represent the large wash of alumni. We'll do what we've done best, and that's get out and talk to people." 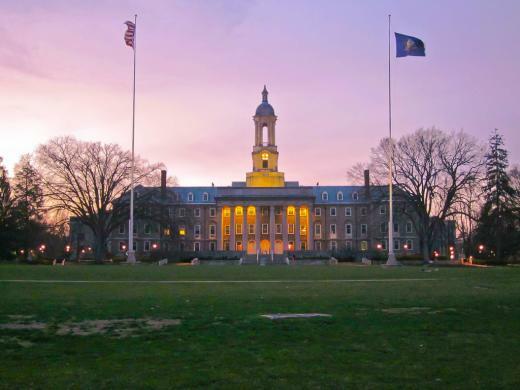 Still, with the Louis Freeh Group's report about to be released, there's no telling what information is left to be revealed about Penn State and which way alumni and friends' opinions will go. "It's been traumatic for a lot of people, but given the support we've seen just over the past eight months, I'm reasonably optimistic donations will continue," Kirsch said. Penn State is a leader in donations in the Big Ten as well. Last year, it led all universities in the conference in number of donors and was one of the top four in overall donations received. There's still work to be done, despite forced staff reductions and unforeseen hurdles the university has faced over the past few years, the economy's troubles included. Still, there's reason to look forward to the last two years of the fundraising campaign. "The steady increase in support over the course of the campaign shows that our donors remain connected to and strongly invested in Penn State." 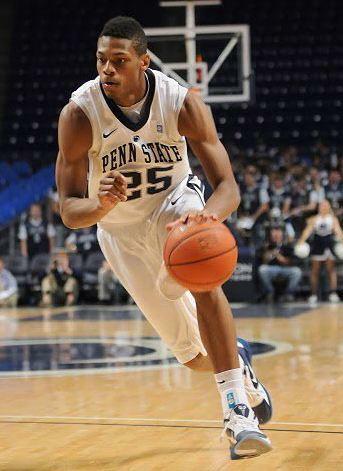 Former Penn State forward Jeff Brooks will have a chance to prove his worth in the NBA with the Washington Wizards. The Wizards have invited him to join their roster for the NBA Summer League, which will be held July 13-22 in Las Vegas.